Channel 4 is to make changes to the regionalisation of its +1 service in December, as part of a rearrangement of its satellite portfolio. Channel 4's regional output is restricted to different adverts rather than actual programming, with the HD service not carry any regionalisation at all. Channel 4+1 has so far mirrored the main Channel 4 service in terms of regionalised adverts. 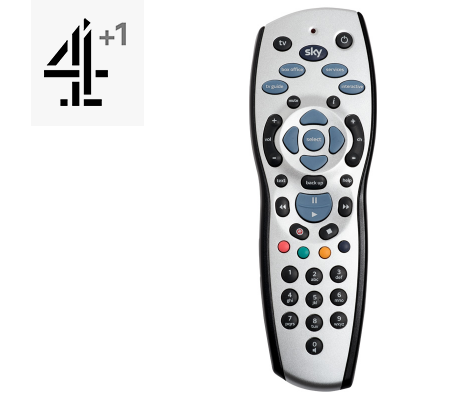 On 13th December 2018, Channel 4+1 for Northern Ireland and Central England will be remapped to a different Channel 4+1 variant. Sky viewers have been notified that series links set after 6th December 2018 for a date beyond 13th December 2018 on Channel 4+1 in Northern Ireland or Central England will not work. Freesat viewers are expected to be affected in the same way, as Freesat utilises the same satellite feed. Viewers outside these regions are not affected. The changes follow a reconfiguration of Channel 4's satellite capacity, following a new deal between Channel 4 and SES (Astra) and a separate deal between The Box Plus Network, of which Channel 4 is a shareholder, and Globecast. The two affected versions of Channel 4+1 currently reside alongside The Box Plus Network on the Astra 2F satellite. The music channels of The Box Plus Network are currently on the move to a new transponder on Astra 2G, leaving the two regional versions of Channel 4+1 to be cleared, allowing the transponder to be used for other services. This will complete just ahead of the Christmas and New Year lock down on Sky. For viewers with Sky and Freesat (beyond those in Central England and Northern Ireland), the changes are all behind the scenes and require no further viewer interaction. The only other affected viewers are the small minority who receive free-to-air satellite using a generic satellite receiver, who need to manually retune.